I loved ‘Til Tuesday in the 80s and bought Mann’s first 2 solo albums in the 90s. 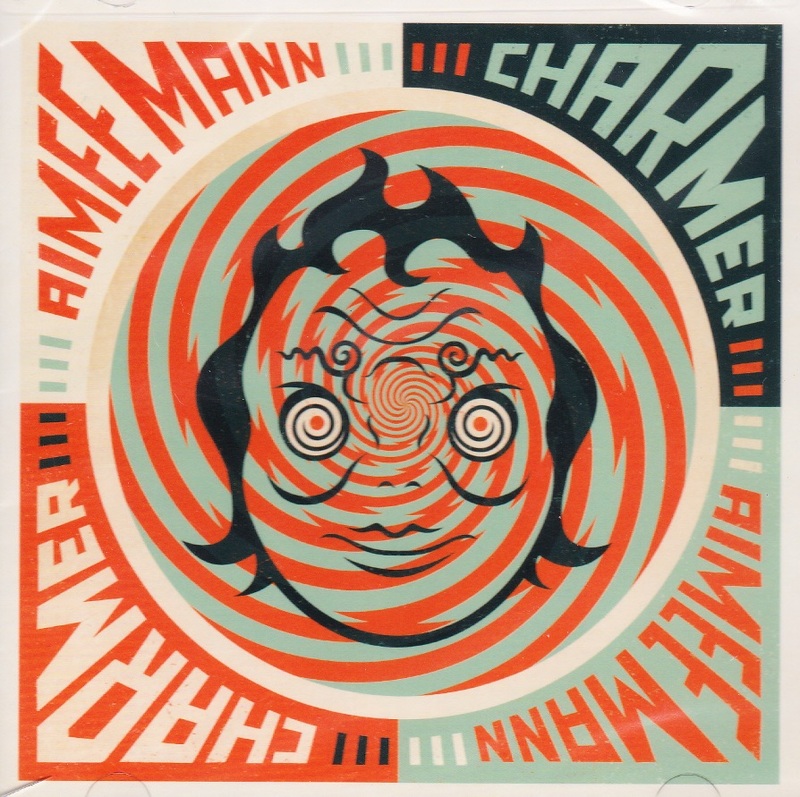 Other than the Magnolia soundtrack, I didn’t keep up with Aimee Mann until this year’s Charmer. All I can say is that it’s great to be back in touch with one of the finest singer songwriters on the live circuit today. Winners of the 2012 Mercury Award, Alt-J is comprised of 3 graduates in Fine Arts and 1 graduate in English Lit. “Tessellate” from this album showcases their cultural depth along with their extraordinary musical prowess with definite shades of Radiohead in there. The video for “Tessellate” presents a twisted contemporary take on Renaissance artist Raphael’s “The School of Athens” where high learning academics are replaced by low life gangstas. Brilliant. Former drummer with Razorlight (whose single “America” was a highlight in 2006) this is Burrows’ first solo release and I love it! This is Indie Pop which almost goes mainstream – the current single “Hometown” could have been huge for One Direction! I’ve played this consistently since I discovered it mid-summer. It’s low-fi naïf surf pop from a guitar and bass duo based in California and has a liberating feel good factor precisely because it’s not over-produced. Apparently they’ll join Green Day on tour in 2013. There were brilliant releases in 2012 from at least 3 legacy artists – Bob Dylan, Leonard Cohen and this one from Bruce Springsteen. I caught the Wrecking Ball tour in Dublin in June and it was energising to see an aging performer so passionate about what he does and so connected to the reality in which he lives. “Jack of all Trades” is a stand-out track both on the album and in live performance. Here Bruce returns to his roots and celebrates the hard-working, honest decency of blue collar America. Taylor Black at Extraordinary Events introduced me to The Avett Brothers a couple of years ago and “I and love and you” from the eponymous album is definitely in my top 100 songs of all times. This gentle album from June 2012 offers up a dozen great acoustic guitar songs with the brothers’ characteristic lyrical quirkiness and intensity. Check out on YouTube the version of “I and love and you” with the Brooklyn Philharmonic Orchestra. I saw this UK band play an amazing set to only about 50 people at the Electric Picnic (one of Europe’s coolest festivals!) in September and immediately bought “Shallow Bed” their early 2012 release. Located on the same side of the musical spectrum as Mumford & Sons, Arcade Fire and Blitzen Trapper, Dry the River produce great soaring tunes with weird, hippyesque lyrics. Father John Misty is the name given to the latest project of Josh Tillman, one time drummer with the sublime Fleet Foxes. “Fear Fun” is actually Tillman’s 8th album and reminds me of the writing of Willy Vlautin of Richmond Fontaine – there’s a certain Spartan feel about the production which highlights the musical hooks and clever, sometimes funny lyrics. Channel ORANGE, in years to come, might be up there with Marvin Gaye’s “What’s Goin’ On” as a milestone album in the history of soul. It’s literally all over the place drawing on such a plethora of musical genres and influences as to defy categorisation. Orange’s baritone is juxtaposed by impossible falsetto and melodies jump in and out of time signatures but it all fits so magnificently together. This eclectic collection of originals and covers features guest vocal performances from Lalah Hathaway, KING, Bilal and others. It’s another album that resists our need to pigeon hole combining rock, hip hop and R&B, all inside a pervasive jazz grove. There are covers here from Sade (“Cherish the Day”), David Bowie (“Letter to Hermione”) and Nirvana (“Smells like Teen Spirit”) but you’d never know it as Glaspar re-interprets them surprisingly, beautifully, courageously. Padraic Gilligan is Vice President Industry Relations at MCI and Vice President of Ovation Global DMC, MCI’s destination services division. He posts a weekly blog on destinations and matters of interest to the meetings industry at www.padraicino.wordpresscom. Thanks Dara – I saw her twice in Dublin years ago but lost track after the Magnolia soundtrack. I really look forward to retro-purchasing the albums from the 00s. If I’m in Dublin end of January I’ll definitely be at the show! All good Chez Gilligan – how about you?